It's not the "ick, Darlena is trying to go through my trash" reason I thought it would be. No. It's that many, many people don't recycle. Now, immediately, I was like, oh, guys, come on. It is 2013. Recycle your stuff, yo. Time to reuse and save the planet and all that. Didn't anyone go through second grade? But you know what? It's not them. It's the system. Patricia Frederickson, who lives in Georgia doesn't recycle. She lives in a condo, and recycling isn't an option. 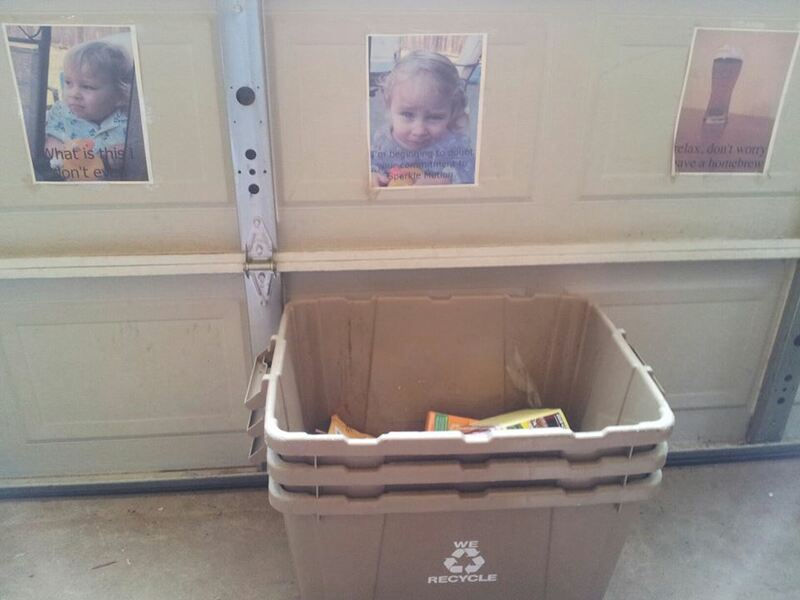 Even her parents, who live in a house, have no recycling options available to them. MaryAnne Luther said this: "Recycle, HAH! This is Tennessee (and being from NY, this is SO weird.)" So, in that area of TN, there is no recycling option. What? 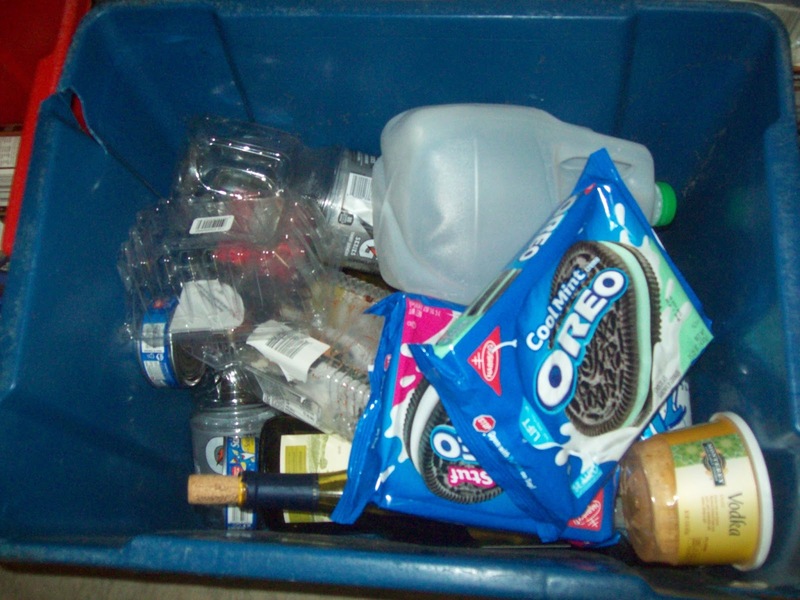 Andrea Wagner in Massachusetts doesn't have a recycling bin. Why? She's in a condo, too, and they all throw their trash into one communal bin in the back. If she lived in a free-standing home, she would have to buy her recycling bin. Meanwhile, Tina Dearing in Australia is amazed. "This might be a cultural thing, but there's no way you could go without recycling here. 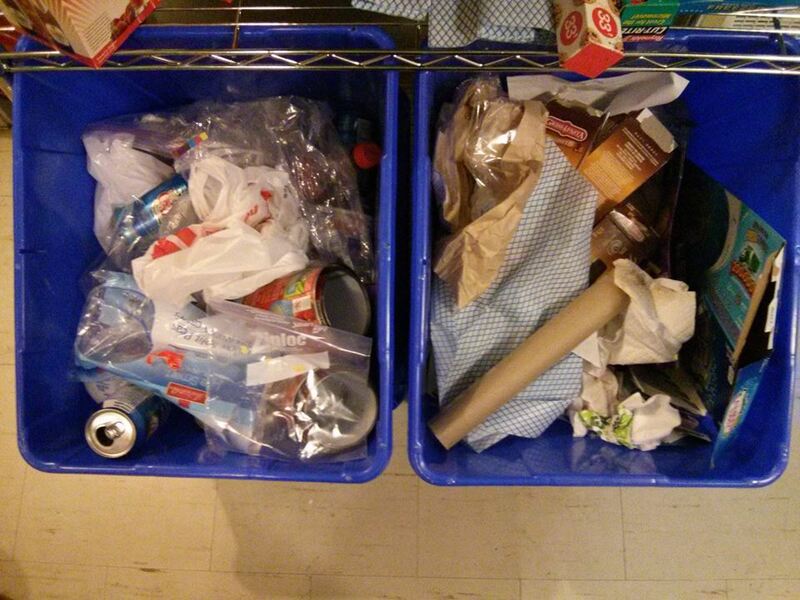 The trash bin that gets collected is, like, half the size of the recycling one. 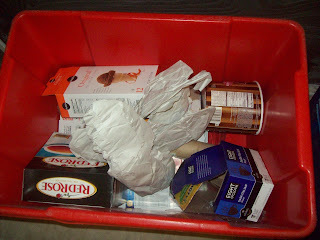 To be fair, all the recycling goes in one bin, and it magically gets sorted somehow, so it's not a hassle or anything." Self-sorting trash? Let me show you my jealousy. 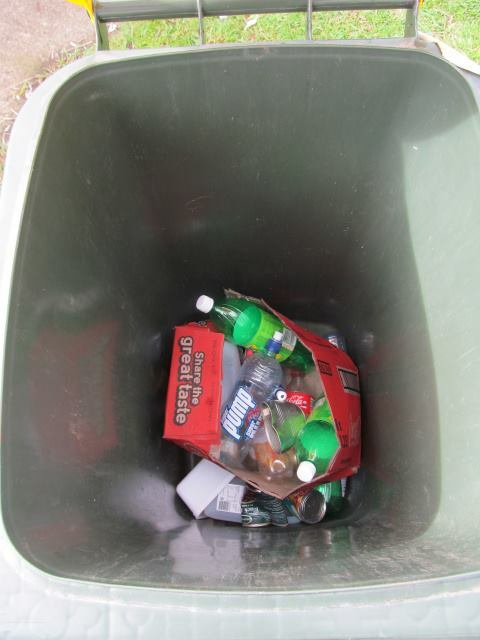 Russell Wait told me that "Lafayette County, MS does not support recycling at the curbside level." 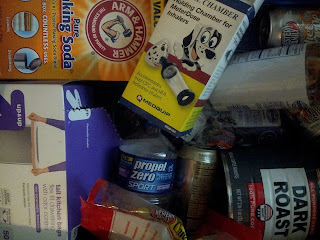 Kristen Duvall says of the area of California in which she lives: "Recycling here? Yeah, they don't make it easy. I recycle cans by leaving them in a big bag for the homeless people to pick up. Does that count?" Cathy Lynn of Pennsylvania says: "We have to pay for our recycling here. 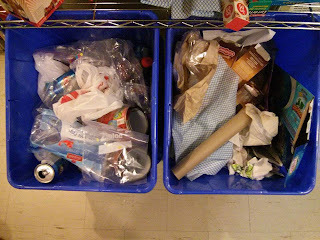 Recycling is at least $20 extra a month if you choose to do it." Tracey Baker Birch, just three hours from me would have to drive her recyclables all the way across town, and with three little kids, that's just not an option. And those are just a few of the many people who educated me about recycling in America. In conclusion, damn, U.S., get yourself together! Here are the pictures I was able to accumulate. Cassandra Gill, sharing an apartment with three adult roommates. Janel Copeland. Loving the kid pics right there. Donnelle Belanger Taylor, who swears the soda bottles were for a project. LOL. 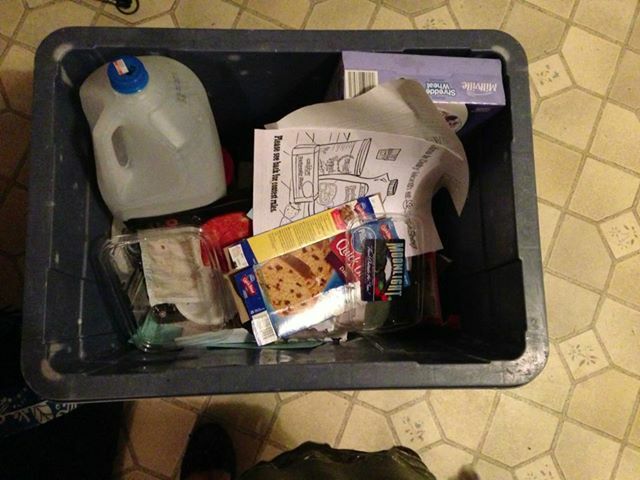 Jolene Bauckman says that, yes, she's totally that mom who goes through the school folder and throws it all out. Me, too, Jolene. Me, too. Kat Walter's is as full as mine is. Katie Grosvenor. Now that looks awesome. Love it. 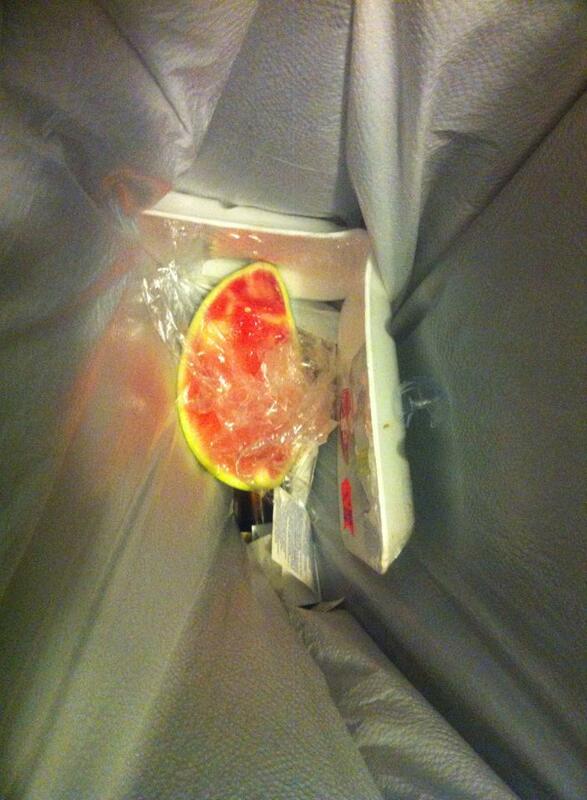 Without recycling, but with trash pick up everyday, Kristen Duvall only had a watermelon slice! Another after my own heart, Melissa Elfers. Tina Dearing's looks pretty classy, too. You know, for trash. 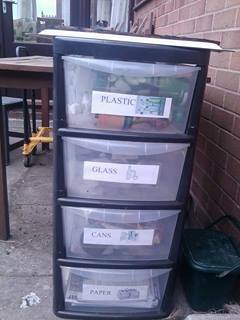 I'm really glad my town supports recycling. I can't believe so many other places do not. Wow. See here in Edmonton, our garbage plant sorts the recycling for us. i don't NEED to recycle. Event he cardboard bins and such people recyle into get dumped into the same truck and resorted out at the plant. 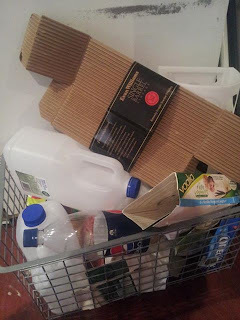 Just to add to the enlightenment: the picture I submitted was the recycling for the apartment BUT the complex does not support recycling: I offered to collect it and take it with me to the house about ten miles away to add to the recycling in another county since I drove every day. 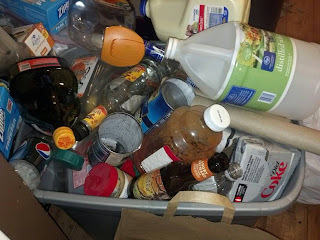 The roomies were more than happy to start separating since they had recently moved from the same county and were used to recycling anyway. It was weird driving once a week on the highway with a huge bin of "trash" in my back seat.